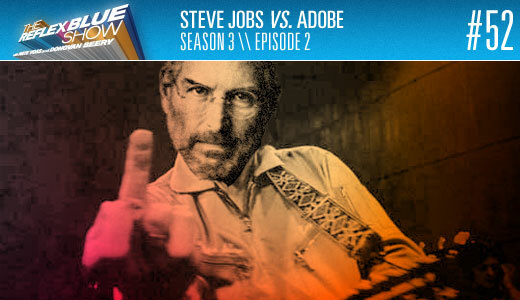 We bring Steve Gordon back (for the first time in Season 3) to discuss the HOW Conference in June (use Steve’s promo code SG10 to save $50 on registration) and the little fight Apple is having with Adobe in regards to Flash. Is Flash really crashing Macs at a rate that only Stitch was built for? Is Flash bad for iPhones and iPads, but good for Google? It’s so far around the Internets I’m not even sure which tube to link to. But as important as all of this is, when walking though the local No Frills Wednesday evening, I ran across this year’s new flavors of Mountain Dew – so figured we’d start the show with another taste test. I guess you can vote for your favorite flavor online, but since the site is in Flash, it crashed my Safari browser and won’t show up on my iPhone. Strange. But are trying new flavors of Dew safe? We didn’t know either, so we brought Chris Kelly back to have him test with us. Let us know your thoughts below, and enjoy. 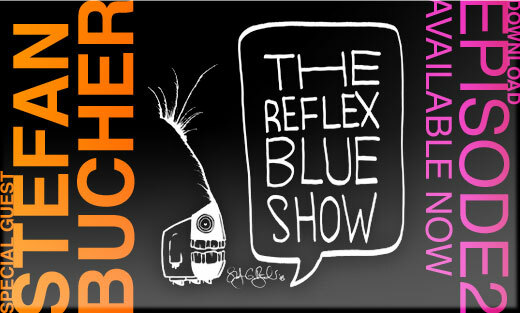 Download The Reflex Blue Show, Season 3 Episode 2 or, click here to subscribe to The Reflex Blue Show from the iTunes Music Store.